Located in the center of Krakow, within a within a 7 minute walk to the Main Square, the Florian Apartments offers spacious independent flats. 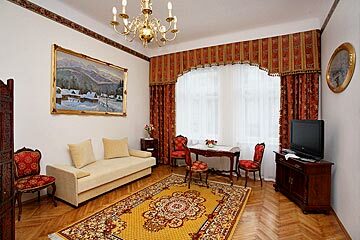 The apartmnts can accommodate from 2 to 8 people therefore the group of guests can live together in one building. Privileged location in the city center if the biggest attraction of the hotel. 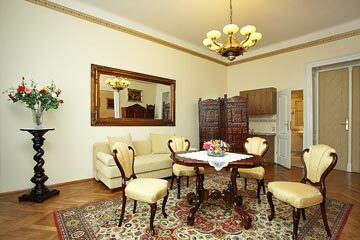 Guests will enjoy charming stylish desing, antique wooden furniture, paintings, sculpture and stylish decorations. The Florian Apartments feature 12 apartments including 4 apartment with 2 bedrooms, sitting rooms and a bathroom, 7 apartment with a bedroom, sitting rooms and a bathroom and 1 apartment with one bedroom and bathroom. 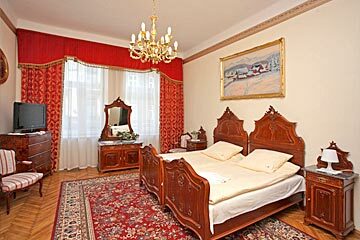 Each apartment have its own special style, and is decorated with antique mirrors, wooden furniture, soft curtains, carpets, and paintings that create a magic atmosphere of old Krakow. 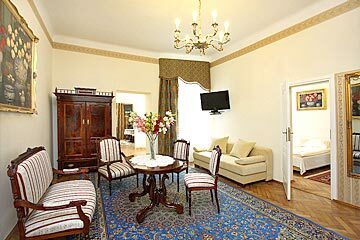 The Florian Apartments are close to the center of Krakow, within a 7 minute walk and 1 km from the train station. by tram 13, 24, 11 and 74 to the Miodowa stop. From the airport guests can reach the hotel by bus 208, or by train (16 minuts), or the hotel's transfer.